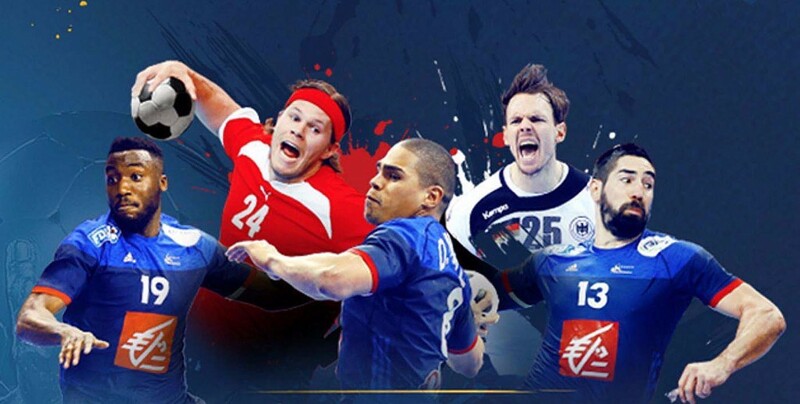 For the athletes and managers of international handball, a World Cup organized in France will take place in Paris. The initial phases started Wednesday, January 11, in Paris AccorHotels Arena with France x Brazil. 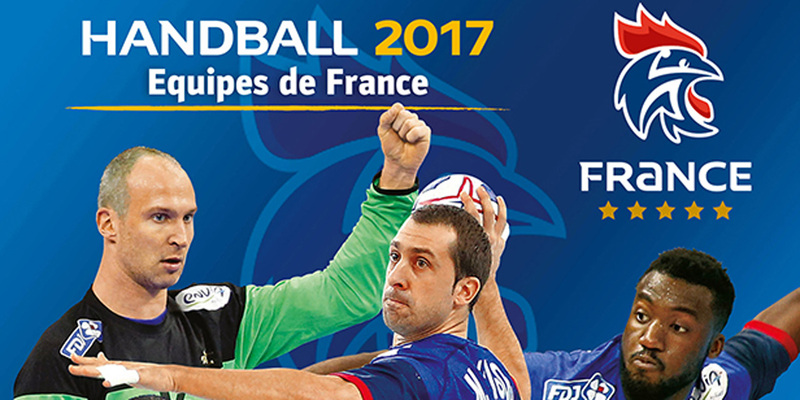 For the final phases, take a look at the 2017 Handball World Cup website, book your places online from 9 euros, and find out who’s the best in masculine handball in Paris, close to the BVJ PARIS YOUTH HOSTELS ! Therefore there’s no excuse, alone or with your family, even with a school group or sportive group, with a budget accommodation in PARIS in the BVJ Youth Hostels, to miss the occasion to see the best players in the planet with the program France x Slovenia and Croatia x Norway, before the great finals of the 2017 Handball World Cup in PARIS ! Handball (also known as team handball or Olympic handball) is a team sport in which two teams of seven players each (six outfield players and a goalkeeper ) pass a ball using their hands with the aim of throwing it into the goal of the other team. A standard match consists of two periods of 30 minutes, and the team that scores more goals wins. Modern handball is played on a court 40 by 20 meters (131 by 66 ft), with a goal in the middle of each end. The goals are surrounded by a 6-meter (20 ft) zone where only the defending goalkeeper is allowed; goals must be scored by throwing the ball from outside the zone or while “jumping” into it. The sport is usually played indoors, but outdoor variants exist in the forms of field handball and Czech handball (which were more common in the past) and beach handball. The game is fast and high-scoring: professional teams now typically score between 20 and 35 goals each, though lower scores were not uncommon until a few decades ago. Body contact is permitted by the defenders trying to stop the attackers from approaching the goal. The game was codified at the end of the 19th century in northern Europe and Germany. The modern set of rules was published in 1917 in Germany, and had several revisions since. The first international games were played under these rules for men in 1925 and for women in 1930. 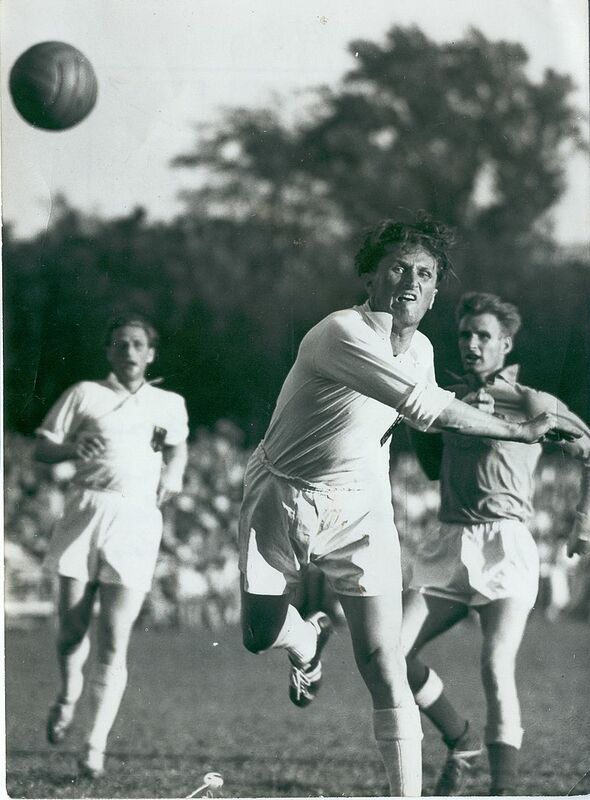 Men’s handball was first played at the 1936 Summer Olympics in Berlin as outdoors, and the next time at the 1972 Summer Olympics in Munich as indoors, and has been an Olympic sport since. Women’s team handball was added at the 1976 Summer Olympics. 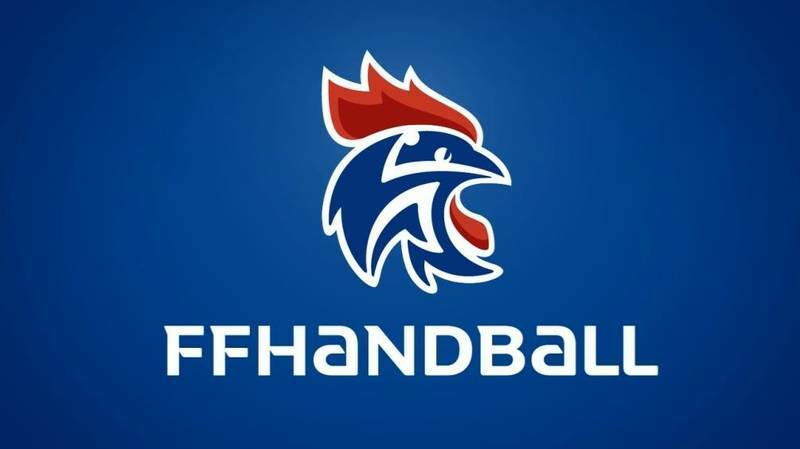 The International Handball Federation was formed in 1946 and, as of 2016, has 197 member federations. The sport is most popular in the countries of continental Europe, which have won all medals but one in the men’s world championships since 1938, and all medals in the women’s world championships until 2013, when Brazil broke the series. The game also enjoys popularity in the Far East, North Africa and parts of South America. 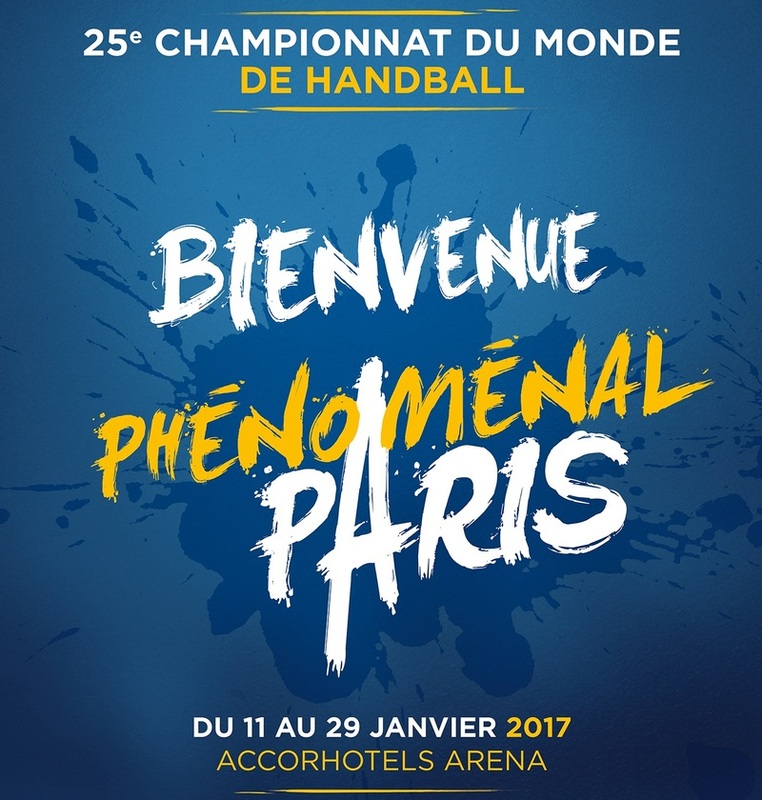 The masculine Handball World Cup 2017 is the 25th edition of the PARIS handball world cups, which will take place from January 11 till 29 of 2017. It’s a competition organized by the Handball International Federation, gathering the best national teams. It’s the third time it’s organized in France, after 1970 and 2001. The France team, winner of the last edition in Quatar, will put its trophy on the line. In the inaugural game, France broke its audience record for a handball match, gathering 15,609 spectators for the first time. For the first time in a big masculine competition there will be a pair of female judges: the French Charlotte and Julie Bonaventura. In the rounds of 16, with France x Iceland in the Pierre-Mauroy Stadium at Villeneuve d’Asq, a new audience record for a world cup match was established in France, witch 28,010 spectators. The experts in Paris ! 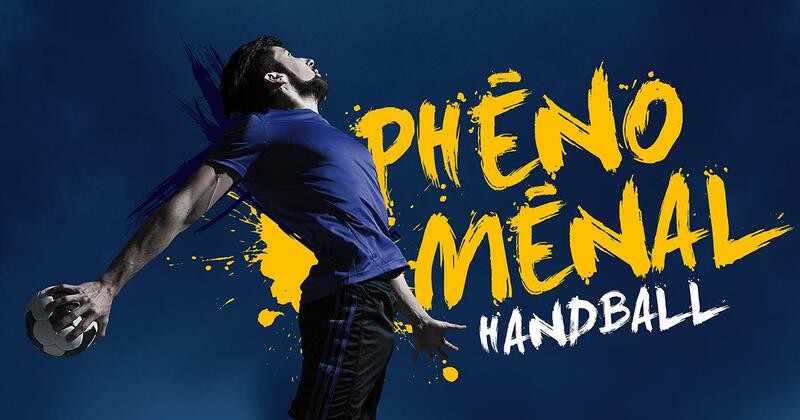 After the Barjots and the Bronzés, the experts in France’s masculine handball team (world champion and Olympic vice champion) constitute a team of French players under the authority of the French Handball Federation, and are considered the most talented team of international handball history! In 2015, the French TEAM became the first team in history to win five world titles (1995, 2001, 2009, 2011 and 2015), three European titles (2006, 2010 and 2014) and two Olympic titles (2008 and 2012), and, who knows, maybe a new title with the Handball World Cup in Paris – 2017. Therefore, do not hesitate, come see the best players of the world for the finals of the Handball World Cup in Paris – 2017 and book right now a budget accommodation in Paris in the first, most central and most Parisian of all Youth Hostels in PARIS: BVJ LOUVRE Youth Hostel, BVJ OPERA-MONTMARTRE Youth Hostel… with direct access to the AccorHotel Arena for the 2017 Handball World Cup in Paris !